Readers, today we are fortunate to have the second of three installments in Liz Jeffries' mini-series on creativity and unleashing your inner child. Liz reminds us of the joy we find in writing, and how getting back in creative saddle can help overcome personal challenges. Liz shares her tried and true techniques for unleashing the imagination of our childhood and getting the results from mind to keyboard (or paper). Today, in her final installment, Liz addresses those questions she brought up last week and shares her tried and true creative tactics. We need to feed that creative spark that lies within us. Oh yes, it’s always there, no matter how much adulthood and responsibility have tried to snuff it out. And we can feed it and help it grow. How you ask? Well here are some things I do for myself. Some of these have been taught to me by other people, some I got from books, some I just came up with on my own. One of my new favorite techniques that I’ve been introduced to since joining Pikes Peak Writers is improv writing. Basically, take a prompt, give yourself a space of time (like 10 minutes) and just WRITE. It can be anything. There is no right or wrong. No one ever has to see it. It’s not anything that has to be made into a story, or has to go somewhere, or even has to make sense. It’s just a time to get your brain to think, to flow, to push yourself beyond the normal comfort zone of your writing. To exercise your brain. To maybe explore things you wouldn’t consider exploring in a ‘normal’ setting. It’s easy. There’s tons of apps and websites that will create random prompts for you. And you don’t have to write on the exact prompt. For example, a lot of them are in first person, but maybe you feel more creative writing in third. So write in third! Just take the basic idea of the prompt and let it ignite the fires in your skull. And remember…NO RULES. Handwrite it if you have to, to break your mind out of the mold. I do. I find when I write on my laptop I get too consumed with making the story ‘pretty’ and I’ve barely gotten more than a few sentences in when the timer goes off. But put a pen and a piece of paper in my hand? I’m off to the races and I don’t really care what it reads like. I’m just writing. A second tactic I use is to find new inspirations. It’s hard to be inspired sitting in front of a screen or searching Youtube. Whenever I find myself running a little low on the creativity meter, I try to find something to energize me. Like going to an art museum, listening to music, or going to the zoo. I especially love music. Listening to music and feeling the story that it speaks to you. Not the story the artist intends, although that’s usually really great too. I mean the story that the song speaks to you. Do you ever get images when you listen to a song? What are the emotions that you feel listening to it? Does it remind you of any memories? To just listen to the song, to let yourself drift into it. For nothing to exist in that moment but you and the song. To being open to whatever pops into your head as you listen to it. I also journal a lot. Every morning I get up and write. It can be complete total gibberish, but I write. I write about how I feel. What I did the day before. Things I dreamed. Things I was looking forward to during the day. Old scars that cropped up that make me feel bad. Things I’m questioning. Whatever pops into my head, it goes down into the journal. Another tactic is to use your creativity, but in a different way. I like to go do pottery. I also am teaching myself how to make things out of leather. Making things and writing are both an act of creation. But sometimes you can ‘run the well dry’ just doing one thing. Sometimes you have to try and explore something new to ‘jumpstart’ the creativity wheel for your writing. I can’t tell you how many times I’ve been bent over the potter’s wheel working on a lump of clay when a random thought about my current story pops into my head, or an idea for my blog. The last tip I have is to just go out into the world and open your mind up to observing and exploring. You can only write what you know and even the most far flung fantasies have to have some basis in reality, whether it’s emotions or how things act/react. We have to have some basis in reality so that our readers can relate. And the only way to understand the world is to observe it, to live it. I couldn’t write a book about climbing a mountain unless I had really done it. Oh, I could. I could pretend. I could read other’s accounts and try to use them. But it’s not the same as actually being there. Actually taking the steps to walk up the mountain. The breeze on your skin. The sun beating down. The smell of the pine trees. The call of the birds. I could not evoke the same emotion, could not describe the environment, the same way I could if I actually got out there, climbed a mountain and experienced it for myself. Saw it with my own eyes. Sensed it with my own senses. I like people watching. Looking at how people dress, how they stand, what they might say or the gestures they make. I like taking those observations and creating little stories around them. Who they are. Where they come from. What their day might have been like. Where they are going later on. Of course, the stories aren’t true. But it’s an exercise in taking what I see and looking past the reality to the possibility of what might be. I like watching their mannerisms, their style and incorporating that into my characters. To give my characters a depth of reality. And don’t stop yourself. What do I mean by that? If you get inspired by something, don’t immediately shoot yourself down by saying “oh that won’t make a good story” or “that won’t make it anywhere”. Don’t analyze! Will every inspiration be a story? NO! But by cutting off your inspiration before it has a chance to grow, by shooting it down before it even gets off the ground, trains your brain that it’s wrong. That it has to ‘think right’. Think like an adult. Be rational. Be reasonable. Be responsible. Don’t be daydreaming. Don’t be stuck in the clouds. Yet that is precisely what we need to do! We need to be children. We need to daydream. We need to see past reality. We need to feed our ability to create. To forget, if even for only an hour, about bills and responsibilities. To let go of all the ‘rules’. To be silly. To be wacky. To push ourselves out of our comfort zones. To look at the world like a child. Where stuffed animals are real and dragons lie in wait around every corner. Where taking a sled down a hill is skiing down the Alps. Where a stick is a mighty sword, worthy of slaying a gigantic beast. To be inspired by the world around us. We need to play, without worrying about the ‘adult’ things waiting for us. To not worry about the hours we spend writing. We need to let ourselves get lost in this passion that we love. The ways I talked about above are just some of the ways I use to inspire my creativity. Use them or find your own. After all, no one is inspired in the same way by the same things. But we do all share one thing. We all have a flame of creativity within us, just waiting to be used. It may be small, buried under all sorts of layers we put down as adults so we don’t act like kids. But it never dies. It’s there, waiting for you to find it and feed it. It’s time. Release the child inside. Release your creativity. And just watch all the amazing places your mind takes you! I have always thought of myself as a writer, writing books while I was still in elementary school. However, as I grew up I started suffering from undiagnosed severe chronic anxiety and depression, and emotional abuse from when I was a child that eventually destroyed my love of writing and art, as well as life. Skip ahead to 2011 when I was challenged by a friend to start living again, and dealing with my issues. 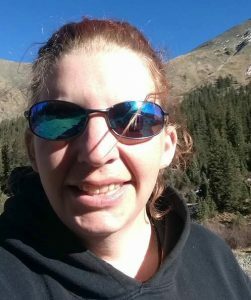 I started a blog detailing my adventures learning how to ride a motorcycle and a mountain bike, and my slow understanding of my mental issues, and was amazed at the positive response. Slowly, my love for writing started growing again. Fast forward to 2016 when I hit a dead end with my life in Illinois and needed a new adventure. Within a week of deciding, I packed up all my gear and moved out to Colorado. Since coming to Colorado, my excitement and creativity has blossomed, as well as getting my anxiety and depression under control. Readers, today we are fortunate to have the second of three installments in Liz Jeffries' mini-series on creativity and unleashing your inner child. Liz reminds us of the joy we find in writing, and how getting back in creative saddle can help overcome personal challenges. Liz shares her tried and true techniques for unleashing the imagination of our childhood and getting the results from mind to keyboard (or paper). This brief post is designed to get you thinking. Chew on the questions Liz provides, really give it some thought. And check back next week for the third and final installment. Do you ever write just to write? No goals as in “this has to become a book” or “this has to go to a contest”. Just writing for the sake of writing. Of putting pen to paper, or fingers to a keyboard, and just writing for the insane pleasure of weaving something together. As you go through your normal day, do you see people or places or things and suddenly get filled with this amazing idea for something to write? Do you throw the rulebook out the window when you write? Or do you get too wrapped up in what someone reading it may think. Is it the proper grammar? Is it the proper format? Am I allowed to do this? This isn’t normally what I write, is it ok to write different stuff? This doesn’t really fit in a genre, is it ok? Do you not write because you ‘aren’t inspired’? Do you not write because you feel there’s too much pressure to achieve something or reach a goal? If you said no to the first three questions or yes to the last three, you may have fallen into the trap I did. That so many of us do. You’ve forgotten how to write like a child. Dedicated writing has its place, when you are trying to make and finish a book or other piece for publication. We should set aside dedicated time to write and be inspired. Rules, grammar, format and punctuation most certainly have their place. But we cannot get so wrapped up in rules that we chain ourselves up. Where we forget how to just let go and write and have fun. In the next installment I’ll share my own techniques for unleashing my inner child and feeding that creative spark. Readers, today we are fortunate to have the first of three installments in Liz Jeffries' mini-series on creativity and unleashing your inner child. Liz reminds us of the joy we find in writing, and how getting back in creative saddle can help overcome personal challenges. Liz shares her tried and true techniques for unleashing the imagination of our childhood and getting the results from mind to keyboard (or paper). Enjoy! Remember as a kid how you would play? A stick suddenly became a sword, your bike your faithful steed beneath you as you raced up to slay the dragon and rescue the beautiful princess. A broken cup and saucer suddenly became High Tea at Buckingham Palace. A trip across the backyard became a daring exploration through the rainforest, filled with crocodiles and jaguars and raging rivers. How you’d play for hours and hours and hours until your parents had to drag you back inside kicking and screaming? You’d spend those hours playing, without a care for the time that was passing. For whether you were ‘playing right’. For what other ‘productive’ things you could have been doing. When a kid is playing with that stick, it’s no longer a stick. It IS a sword. There is a river. There is a crocodile. It’s not just ‘we’re going to pretend it is because we have nothing better’. It IS that object. And they believe it wholeheartedly, with a faith few adults can come close to. That same imaginative faith applies to stuffed animals and imaginary friends. Ever read Calvin and Hobbes? To Calvin, Hobbes WAS a tiger. Even though he interacted with him as a stuffed animal, in his mind he was flesh and blood and fur. Kids see beyond reality. Not to what a thing is, but to what it could be. And then they make that possibility real, even if it’s only in their own minds. This is the power of a child’s imagination. Their power of creation. As writers, especially fiction writers, we need to have that same power of creation. We need to see beyond the reality that lays in the world around us, to the stories and possibilities that lie behind it. That is how we are inspired as writer’s. That’s where, for a lot of us, our stories are born. Unfortunately, as adults, a lot of us have lost our ability to create. I have always loved to write, from the first memories that I can still dredge up into my head. Yet I went through a very long stretch of my life where I didn’t write, or at least, didn’t write with any passion or conviction. I struggled for a very long time with undiagnosed chronic anxiety and depression. And while that’s a story for another blog post, I can tell you one of the things I most struggled with. Following the rules so that I pleased other people. I became so obsessed with following all the ‘rules’, in being a ‘good person’, in being a ‘good adult’ that I lost that part of myself that was a child. I lost my hope. I lost my spirit. I became so stressed out trying to be responsible and level headed and ‘adult’, I gave up on the things that made me a writer. My love of weird stuff. My spontaneity. My hope. My openness to see crazy things in the world around me. My anxiety told me I was worthless as a writer, my depression made me feel hopeless and drained, and I didn’t want to write, and my obsession with the rules meant I was so obsessed with writing ‘correctly’ that I’d take three hours to write one page because it had to be ‘perfect’. Needless to say, over years and years of this my creativity suffered immensely. My love of writing stopped. I had nothing to write because I couldn’t get inspired. I couldn’t create anymore. When I was a kid I was plenty creative. I remember playing zoo with my brother, and we were the animals. I remember playing African Queen (we’d watched the movie with my mom), using the bathtub for our river boat. I remember playing we were ranchers with the cats as cows (by the way, cats don’t herd well). I remember falling so deep into my fantasy books they seemed almost truer reality than the reality I lived in. We all have that ability to see things for what they could be. To create and craft new realities, new worlds, new stories from whatever we see around us. We are all born with that. Yet as we grow we let things (like rules, anxiety, responsibilities) convince us that it’s wrong to think like that. And slowly, year by year, that childlike flame of creation that lives in all of us dies a little. Until it’s so small it’s like it’s not even there. And all we can see around is the literally reality of the world. That loss of creativity impacts our lives. The lives of every human being, not just writers. But especially as writers, because that is what writing is. Creating! Even for the non-fiction people, you need to be inspired to create a book. To find a topic. To research. To write it in such a way, to craft it, to weave your tale that it draws the reader in and makes it real to them. Relevant. And for fiction writers? What do we have to write if we cannot create? We craft and mold everything in our worlds, from the characters to the land to the emotions and words and languages. 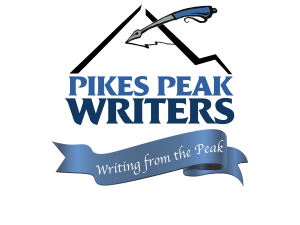 Readers, today we share in the success of Pikes Peak Writers Member Kevin Ikenberry, author of The Protocol War Series. Science fiction thriller Vendetta Protocol is available in paperback and kindle formats, audio is coming soon. Today we share a brief teaser of Kevin's latest. Sixty million miles away, the Sleeper Program suffers a failure much worse than it originally appears. The second subject, a troubled young woman, attempts suicide. In the ensuing chaos, Kieran’s original protocol finds a way to manifest herself in a human body. As a shadowy foe presses toward Earth once again, the Terran Council orders the Sleeper Program terminated and sentences Kieran to death. The only person capable of saving him isn’t really a person at all. Kevin Ikenberry is a life-long space geek and retired Army officer. A former manager of the world-renowned U.S. Space Camp program and a space operations officer, Kevin has a broad background in space science education. His 2016 debut science fiction novel Sleeper Protocol was a Finalist for the Colorado Book Award and was heralded as “an emotionally powerful debut” by Publisher’s Weekly. 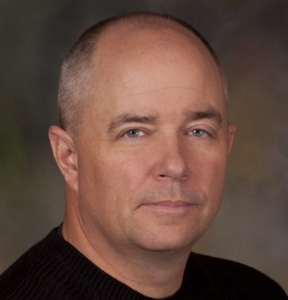 Kevin’s novels include Runs In The Family, Peacemaker, and Vendetta Protocol. He is an Active Member of SFWA. Kevin lives in Colorado with his family and can be found online at www.kevinikenberry.com.